It is so difficult to define yourself! There’s no way to be objective, and I love myself too well to be humble…This is my favorite recent photo, taken in my quilting studio just after I went natural with my hair color. That wonderful crocheted sweater I’m wearing was made by friend of mine many years ago, who spun and dyed the wool and custom designed the piece for me. I recently turned 60 years old, and I’m very happy to be this age. My husband of nearly 38 years is tolerant and even supportive of my quilting endeavors. We are so fortunate in our two fabulous sons, a wonderful daughter-in-law, and two grandchildren. I learned to sew on a treadle sewing machine at about age 10. I’ve been interested in all kinds of textile creation my entire life. I remember begging my Grandmother Rita to teach me to knit. She was hesitant, because I’m left-handed, but I told her to just show me and I would turn it around myself. Then she and her friends sat staring as I began knitting. “Have you ever seen anything like that, May?” she asked one of her friends…then we all knitted together, my first taste of a group of women companionably sharing their craft. Through the years — did anyone else take up macrame in the 70’s? — I’ve been involved in many arts and crafts. Knitting, Weaving, Spinning; each new craft engaged my attention thoroughly, and I still love them all. My talent is LongArm quilting. 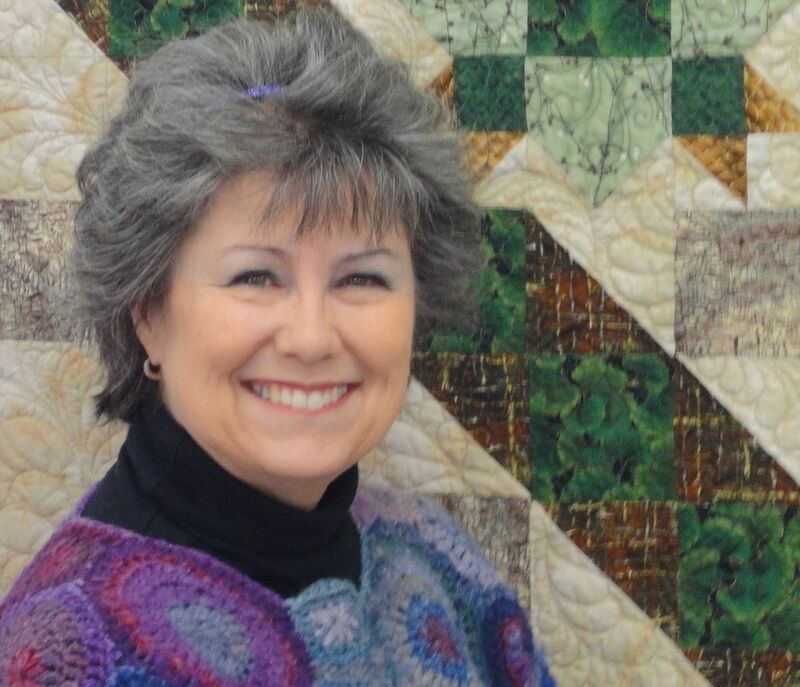 Quilting came into my life in 2001; I purchased a longarm machine in March of 2003 and have quilted hundreds of quilts for my clients in the nine years since. And I’ve also made quite a few of my own quilts along the way. I hope you’ll join me as I’m documenting my journey. I’ll include quilts I’ve quilted for clients as well as my own work. Found this blog url and it is great! Love seeing what you are doing and how well received. You deserve all those prizes, too.